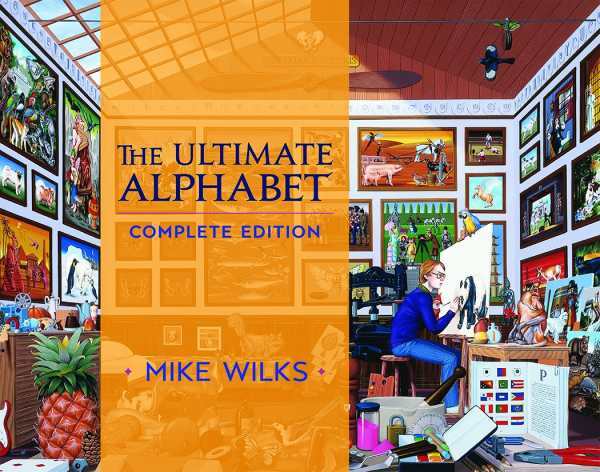 Mike Wilks set out to depict as many words as possible in twenty-six images corresponding to the alphabet. His painting odyssey resulted in a suite of magnificent compilations, all minutely detailed, masterfully rendered, and slightly surreal. Each image contains dozens, if not hundreds, of items starting with the same letter. Can you find them all? These images were originally published in a 1986, best-selling edition. The new, deluxe edition includes a key and an introduction by the artist.